OMI announced yesterday a dividend increase of 4.2% from $0.24 to $0.25 per share. The cash dividend is payable on March 31st to shareholders of record as of March 17th. The company also approved a $100 million share buyback over the next three years. 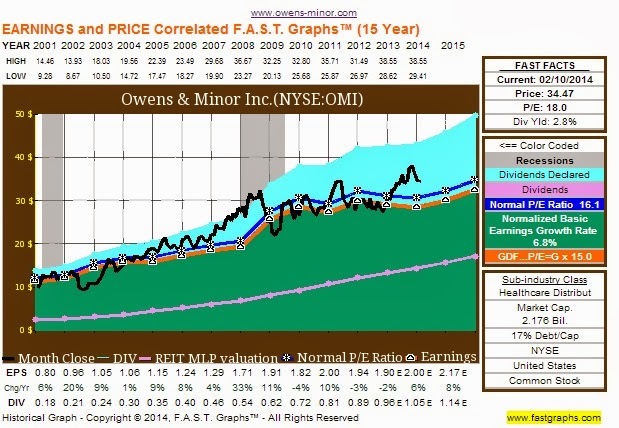 OMI has paid dividends since 1930 and this is their 17th consecutive yearly increase. Since I own 150 shares, this will increase my yearly income by $6.00. Congrats on the $6.00 raise All About Interest! It’s so awesome to get these kinds of raises without having to lift a finger to do any work. I look forward to following your progress from here on out. Thanks! I agree, it’s great to received these raises each year without doing any additional work! Congrats on getting started yourself and good luck on hitting your goals.